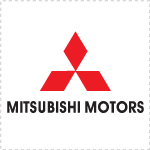 Looks like the i in front of its name or after works for several brands, not just Apple, because the latest to top the records with being the most fuel-efficient vehicle sold in the United States for 2012 is none other than the Mitsubishi i. The statistics were brought out by the Environmental Protection Agency and the Department of Energy. Mitsubishi’s subcompact electric leads all vehicles with a combined rating of 112 miles per gallon of gasoline equivalent, followed by the Nissan Leaf, the Ford Transit and the Chevy Volt.